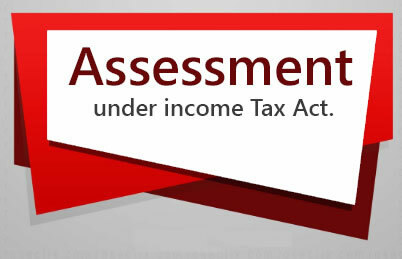 Any person responsible for paying to a non-resident, not being a company, or to a foreign company, any interest (not being interest referred to in section 194LB or section 194LC or section 194LD) or any sum chargeable under this Act (other than salary) shall, at the time of credit of such income to the account of the payee or at the time of payment thereof in cash or by the issue of a cheque or draft or by any other mode, whichever is earlier deduct incometax thereon at the rates in force. However, no tax shall be deducted from any dividends referred to in section 115-O declared, distributed or paid by a domestic company on or after 1.4.2003.
any other presence in any manner whatsoever in India. 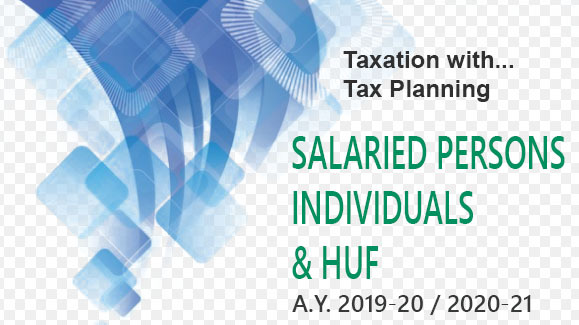 In other words, person whether resident or non-resident is required to deduct tax at source before making payments to another non-resident, if the payment represents incomes of the payee non-resident chargeable to tax in India. 3. When TDS under Section 195 is to be Deducted ? Tax shall be deducted either at the time of actual payment of such income or at the time of its credit to the account of the payee (by whatever name called), whichever is earlier. However, in the case of interest payable by the Government or a public sector bank or a public financial institution, deduction of tax shall be made only at the time of payment thereof in cash or by cheque or draft. whichever is applicable by virtue of the provisions of section 90. Undertaking in Form No. 15CA and certificate in Form No. 15CB is not required, if remittance pertains to 33 items specified in rule 37BB. prior RBI approval is not required† by virtue of section 5 of FEMA read with Schedule III to the Foreign Exchange (Current Account Transaction) Rules, 2000. If remittance (or aggregate amount of remittance during the financial year) does not exceed Rs. 5,00,000, Form No. 15CB is not required. However, undertaking in Form No. 15CA (Part A) should be uploaded. If lower TDS certificate is received under section 197 or order of the Assessing Officer is received under section 195(2)/(3), information is to be uploaded in Form No. 15CA (Part B). Certificate from a chartered accountant in Form No. 15CB is not required. In any other case of remittance outside India, the person making remittance will have to take a chartered accountant certificate in Form No. 15CB and, subsequently, he/it will have to furnish an undertaking in Form No. 15CA (Part C). electronically in accordance with specified procedures, formats and standards and thereafter signed printout of the said form shall be submitted to the authorised dealer, prior to remitting the payment. An income-tax authority may require the authorised dealer to furnish the signed printout of Form No.15CA for the purposes of any proceedings under the Act. The certificate of chartered accountant in Form No. 15CB shall be furnished and verified electronically. The authorised dealer shall electronically furnish a quarterly statement for each quarter of the financial year in Form No.15CC to the Principal Director General of Income-tax (Systems) or the person authorised by the Principal Director General of Income-tax (Systems) electronically under digital signature within 15 days from the end of each quarter. Where the person responsible for paying any such sum, as mentioned above, to a non-resident considers that the whole of such sum would not be income chargeable in the case of payee in India, he may make an application to the Assessing Officer to determine by general or special order, the appropriate portion of such sum so chargeable and upon such determination, tax shall be deducted by him accordingly. Notwithstanding anything contained in section 195(1) and (2), the Board may, by notification in the Official Gazette, specify a class of persons or cases, where the person responsible for paying to a nonresident, not being a company, or to a foreign company, any sum, whether or not chargeable under the provisions of this Act, shall make an application to the Assessing Officer to determine, by general or special order, the appropriate proportion of sum chargeable, and upon such determination, tax shall be deducted under section 195(1) on that proportion of the sum which is so chargeable. The person entitled to receive any interest or other sum (other than income from salary) may make an application in prescribed Form to the concerned Assessing Officer and obtain a certificate authorising the person responsible for making such payment to make payment of such income without deducting tax thereon. Where any such certificate is granted, every person responsible for paying such interest or other sum to the person to whom such certificate is granted shall, so long asthe certificate isin force, make payment ofsuch interest or othersum without deducting tax thereon. As per section 206AA(4), no certificate under section 197 for deduction of tax at Nil rate or lower rate shall be granted unless the application made under that section contains the Permanent Account Number of the applicant. (For Relaxation from deduction of tax at higher rate under section 206AA. See rule 37BC). The contract is cancelled and no remittance is made to the non-resident. The remittance is duly made to the non-resident, but the contract is cancelled. In such cases, the remitted amount has been returned to the person responsible for deducting tax at source. The contract is cancelled after partial execution and no remittance is made to the non-resident for the nonexecuted part. The contract is cancelled after partial execution and remittance related to non-executed part is made to the non-resident. In such cases, the remitted amount has been returned to the person responsible for deducting the tax at source or no remittance is made but tax was deducted and deposited when the amount was credited to the account of the non-resident. There occurs exemption of the remitted amount from tax either by amendment in law or by notification under the provisions of Act. An order is passed under section 154 or 248 or 264 reducing the tax deduction liability of a deductor under section 195. There occurs deduction of tax twice from the same income by mistake. There occurs payment of tax on account of grossing up which was not required under the provisions of the Act. There occurs payment of tax at a higher rate under the domestic law while a lower rate is prescribed in the relevant double taxation avoidance treaty entered into by India or vice versa. In case of refund being made to the person who made the payment under section 195, the Assessing Officer may, after giving intimation to the deductor, adjust it against any existing tax liability of the deductor under the Income-tax Act, Wealth-tax Act, or any other direct tax law. The balance amount, if any, should be refunded to the person who made such payment under section 195. A refund should be granted only after obtaining an undertaking that no certificate in form No. 16A has been issued to the non-resident. In cases where such a certificate has been issued, the person making the claim of refund either obtain it or should indemnify the Income-tax Department from any possible loss on account of any separate claim of refund for the same amount by the non-resident. A refund should be granted only if the deductee has not filed return of income and the time for filing of return of income has expired. The limitation for making a claim of refund shall be two years from the end of the financial year in which tax is deducted at source.